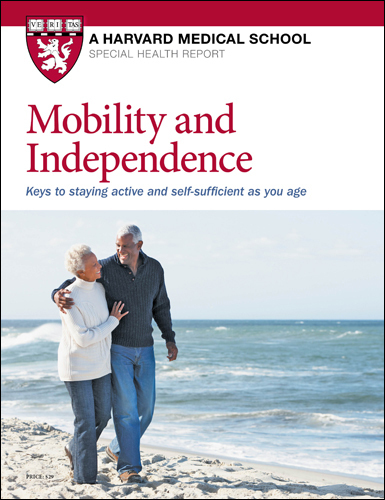 Mobility and Independence, a Special Health Report from Harvard Medical School, will help you maintain your mobility and safeguard your independence. It will give you recommendations for exercise, diet, preventive care, and lifestyle choices that will keep you stronger and steadier with fewer aches and more stamina. Plus, you’ll get advice for aging in place, adapting and fall-proofing your home, choosing services, and more. Discover the keys to a lifetime of self-sufficient living. Protect your mobility with practical steps and strategies that will keep you strong, steady, and active. You take pride and joy from being on your own. The ability to rely on your own body, skills, and mental agility is a crucial part of a satisfying life. From doing daily errands to taking the trip of a lifetime, from going out with friends to staying in your own home, much of living happily and well depends on mobility. But mobility can fade away. Mobility and Independence, a Special Health Report from Harvard Medical School, will help you maintain your mobility and safeguard your independence. It will give you recommendations for exercise, diet, preventive care, and lifestyle choices that will keep you stronger and steadier with fewer aches and more stamina. When it comes to mobility, the single most important thing you can do is stay physically active. You do have to use it or lose it. The report highlights activities that will keep your joints limber, strengthen core muscles, help you avoid back pain, and build your sense of balance – all important for maintaining mobility. Prepared by Harvard Medical School doctors, Mobility and Independence offers a wealth of useful guidance. You’ll learn what to do to lessen the risks of osteoarthritis and osteoporosis…take pressure off your back…tone your core…maintain muscle power…and improve posture. The report looks at ways to protect your vision, prevent hearing loss and keep your brain sharp. It provides tips for ramping up the nutrients in your diet without boosting calories. Plus, you’ll get advice for aging in place, adapting and fall-proofing your home, choosing services, and more. Special Section: Is your diet sabotaging your mobility? 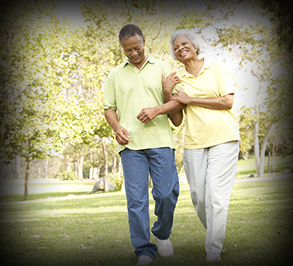 people maintain their mobility and safeguard independence as they age. physical conditioning can improve your abilities and help prevent further loss of movement. scientific knowledge about mobility into practical steps you can take to stay healthy and strong. to keep moving, and your effort to maintain connections to loved ones and to the wider world. devices, and services that give you the support you need to remain on your own. Whatever your age or health status, now is the time to ensure an active and capable future.